Also, forgot to mention. If you are using a USB-to serial adapter to program you must plug it in before trying to launch the program. the software will not launch if there are no available com ports. many radio service softwares from several manufacturers behave in this manner. It looks like the PM400 is listed for this version of the software. Cheers. It has been sitting for years hope i can get it runnig again thank for the sofware! Thanks for the software, it works great! I tried to setup this software in my pc, but did not work, as it is not compatible for Win 8. Hi, according to the readme file in the CPS, Windows 7 is the final version that it will work with. Works great on Windows 7, 64 bit system. It solved the problem of Version 5.06 where I was getting an error message on 1 radio after going part way through reading it that this radio was "Not Supported". Thanks for the report, I'll update the site. Works for PM400 as well. thank you so much for the software. it works great as described on my Windows 7 64 bit machine. 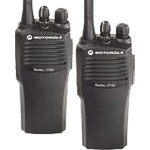 Also note that this software can also read/write to the Motorola PM400 mobile uhf/vhf radio as well (i think they were all the same series anyways). Thanks for the feedback, I've updated the site to reflect your info. Worked perfectly, thank you for the file. Just what I have been looking for. Worked great! When i try to open the CPS software I get an error saying it cant open the controller. Ok i figured out what it was works great now. "Cannot Install: SETUP or INSTALL program filename contains folder information. Use Actions/Checkout instead." Thanks bunches. Apparently my computer didn't unzip it but let me view the zipped files….your help is greatly appreciated and now it's installed. About to try it out.